We offer several sedation options to make your experience as pleasant as possible. Dr. Humphreys and Dr. Galloway are qualified to provide local and intravenous sedation as well as nitrous oxide and any necessary oral sedatives. Before and after each patient appointment, all treatment surfaces (e.g., countertops, chair surfaces, lights, x-ray machines, and trays) are disinfected with the most effective and safest products available. Our water lines are monitored and treated to ensure no bacteria or viruses are present. To ensure your safety, we follow a number of standard sterilization procedures with all instruments and handpieces. First, they are brought into our sterilization room and placed in an ultrasonic cleaner to remove even microscopic debris. The instruments are then rinsed thoroughly before being sterilized in an autoclave which destroys all bacteria and all viruses. Our sterilization machines are monitored regularly to ensure their efficiency and safety. Sedation is endorsed by the American Dental Association and is an effective way to make many patients comfortable during their dental visit. Before using a sedative or anesthetic, it is important to tell your dentist about any medications or medical treatments you are receiving. Before administering any sedative or anesthetic, Dr. Humphreys or Dr. Galloway will talk with you about the process of sedation and pre-and post-sedation instructions. Dr. Humphreys and Dr. Galloway have undergone rigorous specialized training before administering intravenous sedation. Their experience and expert knowledge of the physical and pharmacokinetic properties of sedative drugs and their effects is a critical factor for ensuring IV sedation safety. Therefore, Dr. Humphreys and Dr. Galloway have both received special accreditation and licensing necessary to practice IV sedation dentistry including official training in Advanced Cardiac Life Support (ACLS). Dr. Humphreys and Dr. Galloway’s team has also undergone extensive cardiopulmonary resuscitation (CPR) training. Continuous monitoring of the patient throughout the IV sedation procedure is a crucial factor for safety. We monitor heart and rhythm, blood pressure, oxygen and CO2 levels. The strict regulations on the use of IV sedation combined with the advanced training and licensing requirements for the dentists have helped IV sedation dentistry to have an excellent safety record. Nitrous oxide, more commonly known as “laughing gas,” is often used as a conscious sedative during a dental visit. The gas is administered with a mixture of oxygen and has a calming effect that helps phobic or anxious patients relax during their dental treatment. Because it is a mild sedative, patients are still conscious and able to talk during their visit. After treatment, the nitrous is turned off and oxygen is administered for 5-10 minutes to help flush any remaining gas. The effects wear off almost immediately. Nitrous oxide rarely has side effects, although some patients may experience minor nausea, constipation, and/or headaches. 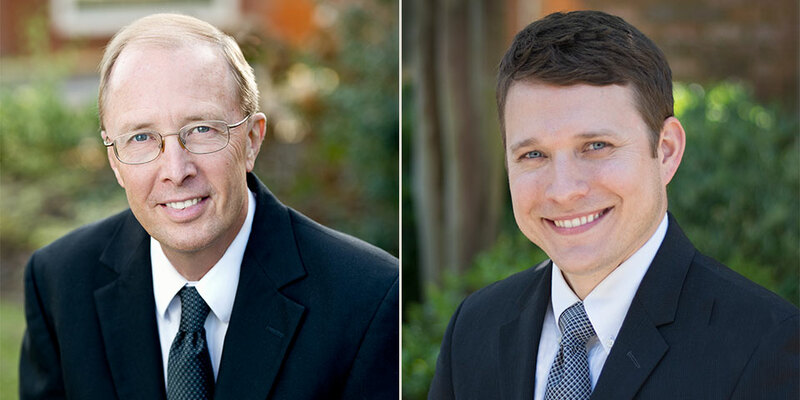 Dr. Humphreys or Dr. Galloway will provide you with pre-and post-sedation instructions. We use heart monitors to ensure your safety and wellbeing during all surgical procedures. Dr. Humphreys, Dr. Galloway and our team realize that the key component of any thorough periodontal appointment is patient assessment. While there are several tools used for conducting screenings and examinations for oral health, other aspects of patient health that may be related to dental heath are often overlooked. A patient’s blood pressure is one of these parameters. Appropriate monitoring of blood pressure cannot only improve outcomes of dental care but also play a role in improving the overall health of patients.